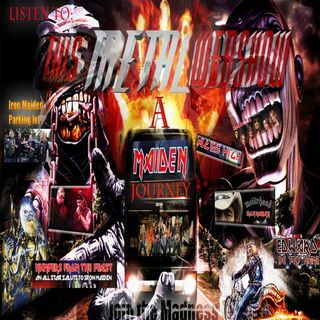 Explicit This Metal Webshow "A Maiden Journey"
LISTEN TO MAX ,JEFF,Mr. Q. AS THEY TAKE YOU INTO A SALUTE TO IRON MAIDEN. ACES HIGH,IRON MAIDENS,LEMMY,EDWARD BE THY NAME,DEE SNEIDER, DI ANNO, MAIDEN MONEY AND MORE! JOIN US IN THIS MAIDEN SALUTE!